Hello Everyone! 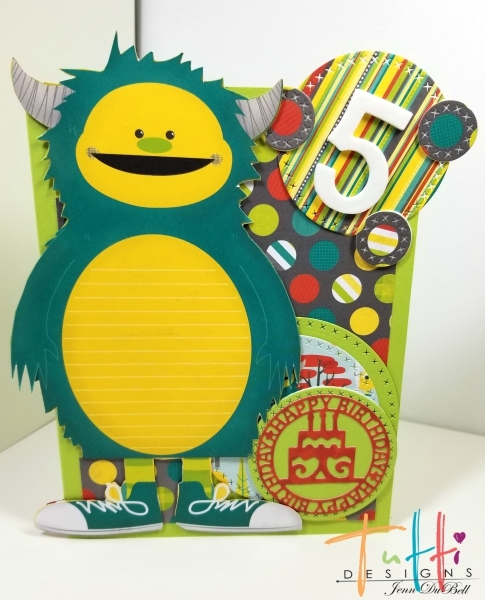 Jenn here today sharing this adorable Lil Monster Birthday card I made for my grandson using the amazing Tutti Designs Dies!! This was so much fun! 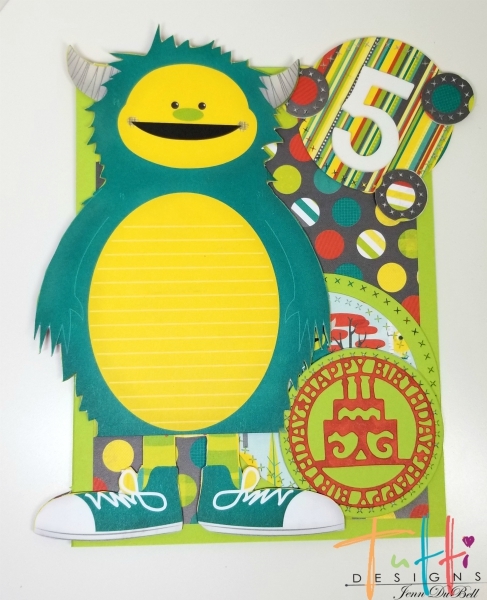 The designer paper collection I chose is from Bo Bunny and called Our Little Monster. 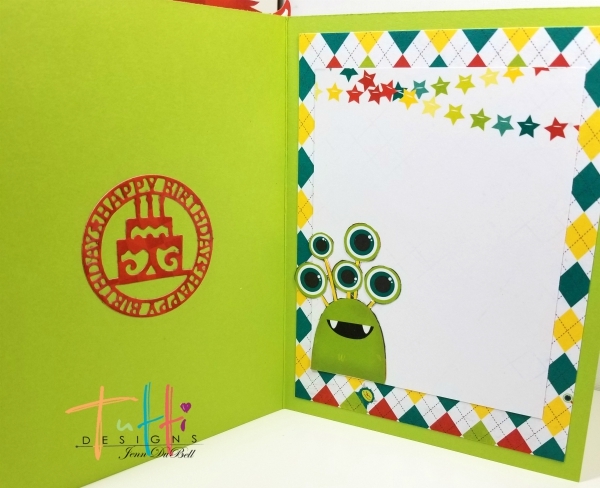 Additional plain colored cardstock in lime green was used to create the base and one of the circles. Fussy Cut large monster for the front and small monster for the inside. I do the insides of my cards first as a rule. This way the front does not get messed up. 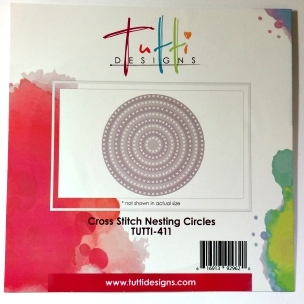 Start by Adhering the patterned piece cut to 4 1/2" X 6" using adhesive runner. Top with a cut out from Designer papers. Add the fussy cut small monster. 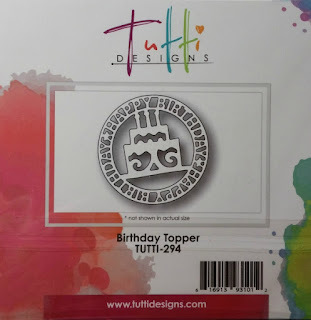 Finally, add the Birthday Topper die cut using adhesive such as a glue stick. Start by adhering the front patterned piece using adhesive runner. Next, layer the circles as shown below. The first two were adhered with adhesive runner the third with Scrapbook Adhesives foam for dimension. Layer one of the Happy Birthday topper die cuts on top using adhesive such as a glue stick. Adhere the other circle on top and add the number sticker. Use adhesive foam sheet cut outs to adhere the small die cut circles as shown. Finally, Add the fussy cut monster using adhesive foam sheet for dimension! I can't wait to see my grandson's face!! Jenn, this card is adorable!! I love how you mimicked the patterned paper with all of the circles, even the birthday wish. LOL ... OMG what a fun card! SURE to bring lots & lots of giggles!!! Great inspiration ... thanks! This is just sooooo cute! !